We’ve been extremely busy all summer here at The Guesthouse East – I’ve been putting it down to my porridge – but it seems we’re part of a much bigger trend according to a new study highlighted on BBC 1 (The One Show) and the Eastbourne Herald amongst others. 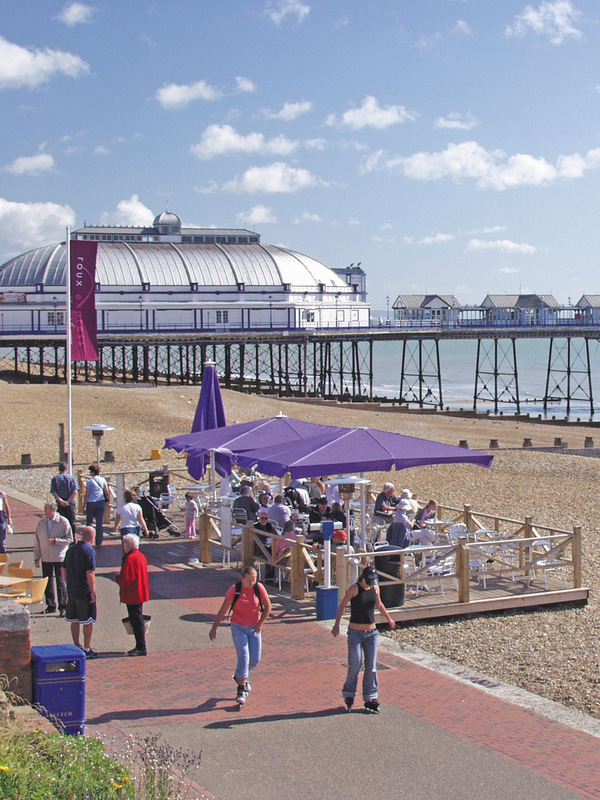 EASTBOURNE is the second fastest growing seaside resort – and the sixth most popular in the UK. The number of staycations – Brits holidaying at home – is going through the roof, and the Sunshine Coast is one of the main beneficiaries. Eastbourne is second in terms of growth in tourism-related businesses, the number of people employed in the holiday economy and the number of visitors to local attractions compared to the year before, rising by 11% year-on-year, much higher than other Sussex resorts like Brighton, Hastings and Worthing. Almost five million people flock to Eastbourne every year, swelling the town’s coffers by an estimated £250 million every 12 months. Many of those visitors are foreign families and students, but, according to new figures, an increasing number are English natives shunning the Spanish sun in favour of a short spell in the sunniest part of UK. This upturn is indicative of a national trend toward seaside chic breaks – with many bed and breakfasts transformed into trendy boutique hotels and attracting more affluent tourists to the coast. Figures show those holidaying in the UK spending 23 per cent more during their stay than last year and that in total resorts has seen 21 per cent more UK visitors staying overnight rather than just enjoying a day trip. However, there are some traditions that show no signs of abating. Six in ten holidaymakers quizzed as part of the survey said they planned to eat fish and chips during their break and four in 10 said they were looking forward to a stroll on the pier. In fact, one in three holidaymakers say the traditional attractions at seaside towns was one of the a reason for deciding against travelling overseas. Just in case you need another reason to visit (or just perhaps to run off those chips) we’ve teamed up with The Running Inn to offer another Running Weekend Course. As well as boutique accommodation here at The Guesthouse East (check out our suites!) 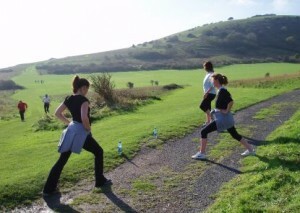 you’ll receive a fitness test, nutrition discussion, pilates for runners as well as personal trainer-supported runs on the South Downs. There always a lovely, supportive atmosphere and it’s amazing what you can achieve after a bowlful of my legendary porridge! Call 01323 722774 for more details.